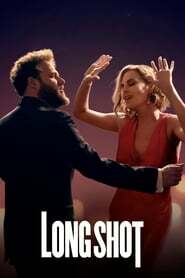 The project that began with the name of ‘Flarsky’, now renamed ‘Long Shot’, has an official trailer and release date. The Boy Who Harnessed the Wind Charlize Theron and Seth Rogen team up to be the protagonists of this new production. As shown by Entertainment Weekly (EW), the trailer debuted for the first time on the small screen in the Ellen DeGeneres show today, and as we discussed earlier, it seems that the character of Rogen -Fred Flarsky- is a kind of Julia Roberts in the classic ‘Pretty Woman’. In conversations with EW, Theron – who plays Secretary of State Charlotte Field, and also produces the film project Isn’t It Romantic says that while the film enters the genre of comedy there will still be romantic aspects.